Women’s Bible study meets Thursday mornings from 9:00-10:30am in the teaching room downstairs. Childcare is provided if needed. 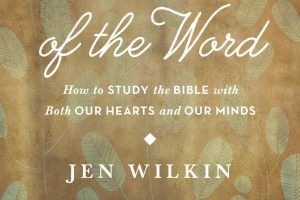 On November 8, we will begin studying Women of the Word by Jen Wilkin: "We all know it’s important to study God’s Word. But sometimes it’s hard to know where to start. What’s more, a lack of time, emotionally driven approaches, and past frustrations can erode our resolve to keep growing in our knowledge of Scripture. How can we, as Christian women, keep our focus and sustain our passion when reading the Bible? Offering a clear and concise plan to help women go deeper in their study of Scripture, this book will equip you to engage God’s Word in a way that trains your mind and transforms your heart." Contact Betsy Miedema at miedema@remembrancechurch.org to sign-up or for more details.